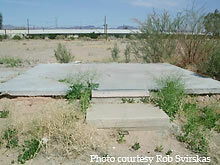 The Apache Drive-in Theatre of Globe, Arizona is an example of the recent fate of drive-in theaters throughout the country. Seemingly in decent shape, weeds on lot notwithstanding, the Apache sports its proud single-screen right next to the major highway. 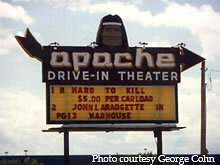 For more, see Roadside Peek's Lost Treasures Feature on the Apache Drive-in Theatre. 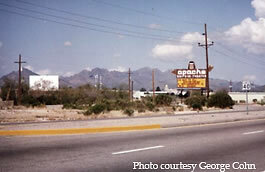 The Apache Drive-in Theatre was one of the last of the many Tucson Drive-ins to close down. Starting off as a single-screener, it was made into a triple in 1977. 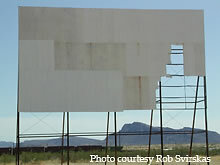 One of the screens was then torn down in 1991 and the drive-in itself closed in 1994. 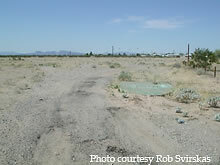 The property now belongs to the sheriffs department and they recently built a huge records center on the former Apache site off of Benson Highway. 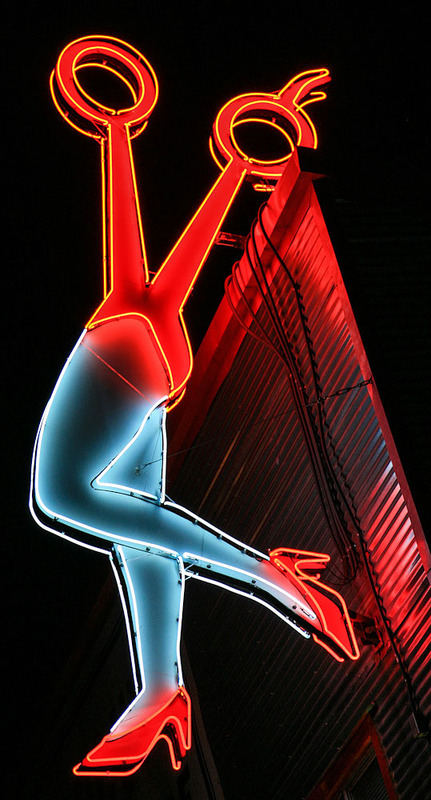 Many thanks to George Cohn for photos and info. 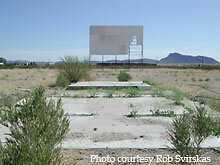 Here are some shots of the Parker Drive-in Theatre in Parker, Arizona. The drive-in itself appears to have been closed down for quite some time. Check out the missing pieces on the screen tower and the slab that used to be the projection booth.